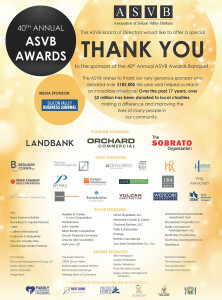 The ASVB wishes to thank our very generous sponsors who donated over $182,000 at the 40th Annual Awards Banquet and helped us reach an incredible milestone! Over the past 17 years, $2,008,505 has been donated to our supported charities. Donations from this year’s event will be donated to Family Supportive Housing, JW House, Next Door Solutions, Project Hired, Ronald McDonald House, Second Harvest Food Bank, Stroke Awareness Foundation, and the Morgan Autism Center. 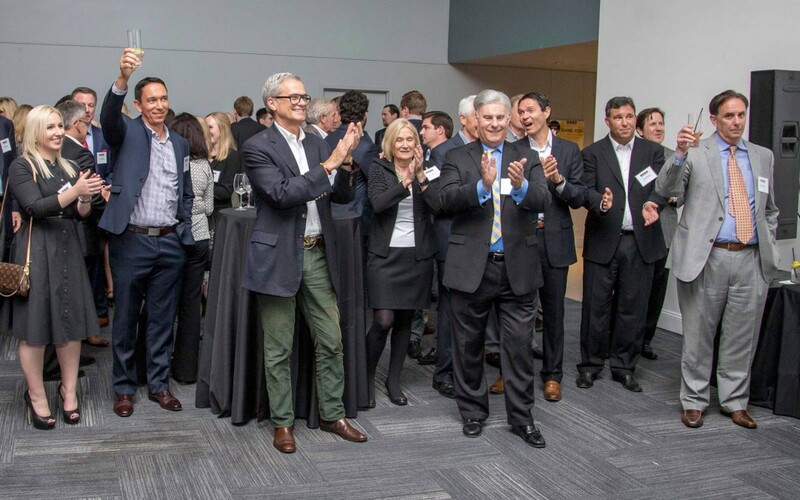 Proceeds from the event are donated to selected charities who are recognized for their life-changing efforts in assisting those in need throughout the Silicon Valley. The ASVB Annual Awards Dinner provides fundraising opportunities through the sale of tickets and various sponsorship options. The ASVB covers its annual operating expenses through member dues and other services, thus 100% of all money raised from its philanthropic efforts goes directly to its selected charities.